Cannon County has made application with the USDA for a $30,000 Rural Business Enterprise Grant (RBEG) to assist with the construction of a Farmer’s Market. The Farmer’s Market would consist of a 100 feet x 40 feet, double bays or 20 stalls, poll type structure. If implemented, the proposed project will convert flood plains, less than ¼ acre located north of the parking lot and east of the existing Arts Center of Cannon County. The USDA, Rural Business Programs, in informing the public of this proposed conversion, is requesting comments concerning the proposed project, alternative sites or actions that would avoid these impacts and methods that could be used to minimize these impacts. 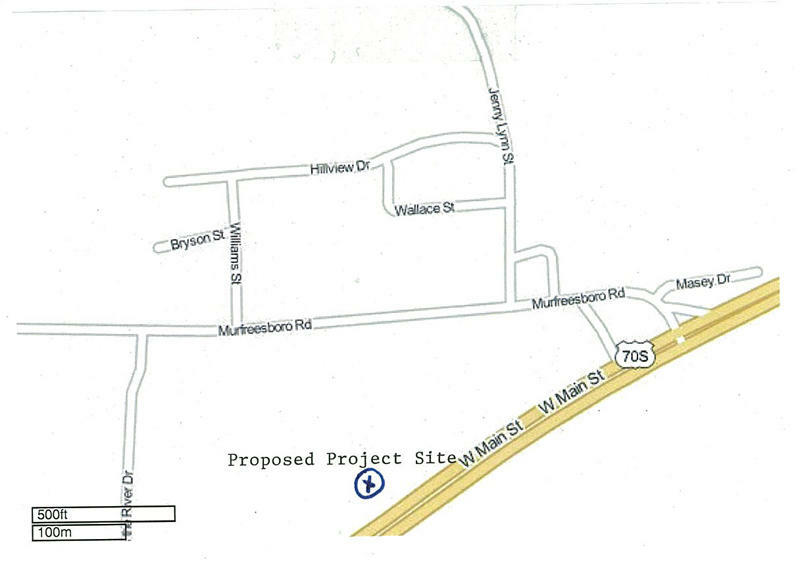 The environmental documentation regarding this proposed project is available for review at the USDA/Rural Development – Cookeville Area Office,390 South Lowe Avenue, Suite K, Cookeville,TN 38501or by calling 931.528.6539 ext. 121. Any person interested in commenting on this proposal should submit a comment to the address above Attention: Jimmy Allen within 30 days of April 4, 2012. This will a great home for the farmer's market! Easy access and plenty of parking. Within 30 days of April 4th, 2012? Not a lot of time to respond if someone had another idea. How long has this idea been in place? Yes, that is next Wednesday, the date when the legal notice will first appear in the newspaper. The farmer's market was at this location all of last season. The "idea" may have germinated during that time. The web site for the Cannon County Farmer's Market includes this bit if information: "For more information, please contact Bruce Steelman at the Cannon County Extension Office at 563-2554." I feel this is not best place for the Farmer's Market. this land floods & is on private property with only a 40 year lease.Should be on county land.The commission voted a 5-5 tie with Mike's vote breaking the tie for it. why can it not be place at the agriculture building at the fair grounds. Need to put it to use.